Monticello is among the most enduring symbols of American history, offering a tangible connection to the nation’s founding. A view of it is embossed on every nickel. The sense of permanence that Thomas Jefferson’s home conveys stands in stark contrast to the way the seasons perpetually reshape the landscape around it. 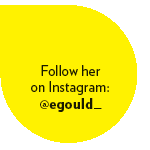 Through her work and her art, Eleanor Gould (Arch ’10) explores the beauty she finds in that tension. Gould, who earned her master’s degree in landscape architecture at UVA, has been curator of gardens at Monticello since 2013. She divides her time between the usual gardening tasks—weeding, planting and harvesting—and researching the gardens, leading tours, developing programs for the public and taking photos of the estate for Monticello’s digital archive. 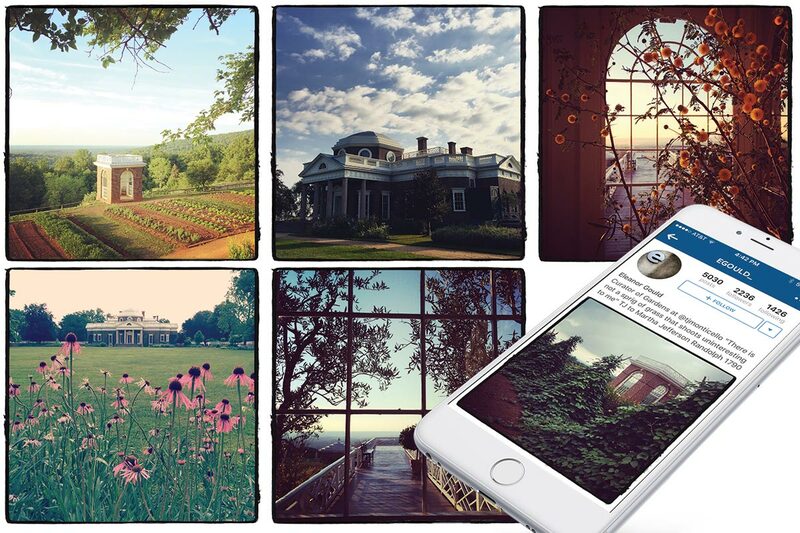 Over the past four years, Gould has also brought Monticello to a far-flung audience through photographs that she posts to her Instagram account, which has more than 2,000 followers. On any given day, she might take pictures of striking flowers and insects, fruits and vegetables, Monticello’s interior spaces, arresting cloud formations, sun-dappled trees and sweeping vistas of nearby mountain ranges. During her graduate work, Gould took part in the Historic Landscape Institute, a weeklong program run jointly by Monticello and UVA that uses Jefferson’s landscapes as outdoor classrooms. “I was drawn to the hands-on, experiential aspects of gardening—and was blown away by the idyllic landscape,” she says. After graduating in 2010, Gould worked as a seasonal gardener and then assistant gardener in the fruit, flower and vegetable gardens at Monticello before she was named curator of gardens in 2013. She began taking photos of the estate during her work as a seasonal gardener. One of Gould’s favorite tasks at Monticello is leading tours of the Revolutionary Garden, which grows more than 100 varieties of heirloom fruits and vegetables that were once Jefferson’s favorites—like Alpine strawberries, Marseilles figs and Indian Blood Cling peaches. The heirloom fruits and vegetables are also a favorite subject of her photography. As with Gould’s work at Monticello, it is the interplay of discovery and loss, the permanent and the vanishing, that attracts her to them. of route 29 and Fry’s Springs Road, just south of the JAG school, in 1923.
of my favorite place. Thank you. Wonderful article and makes us proud to have such a talented Niece!